You’ve seen it written both “doughnut” and “donut,” but why is Homer Simpson’s favorite food spelled two different ways? Despite being made from dough, Twitter user @Molly_Jackson learned from nearly 6,000 votes on a poll she took that “donut” is preferred. The Daily Meal investigated and uncovered the book, “Peck’s Bad Boy and His Pa” from 1900, where author George W. Peck uses the shorter spelling. Forty-years later, the New York Times was using the word both ways. 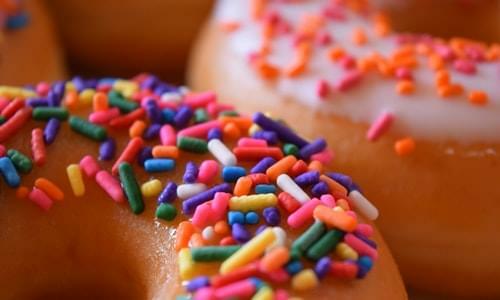 Of course, there’s Dunkin’, who has been using “donuts” since its founding around 1950. Even the people behind the official Scrabble bible and Merriam-Webster have signed off on the use of “donut”. How do you spell it? What have you heard is the reason for the two different spellings?